Scilm, family owned and operated offers leading-edge technology to the global furniture industry. Our products and systems offer the manufacturing professional innovative solutions and enhancements to the woodworking industry. 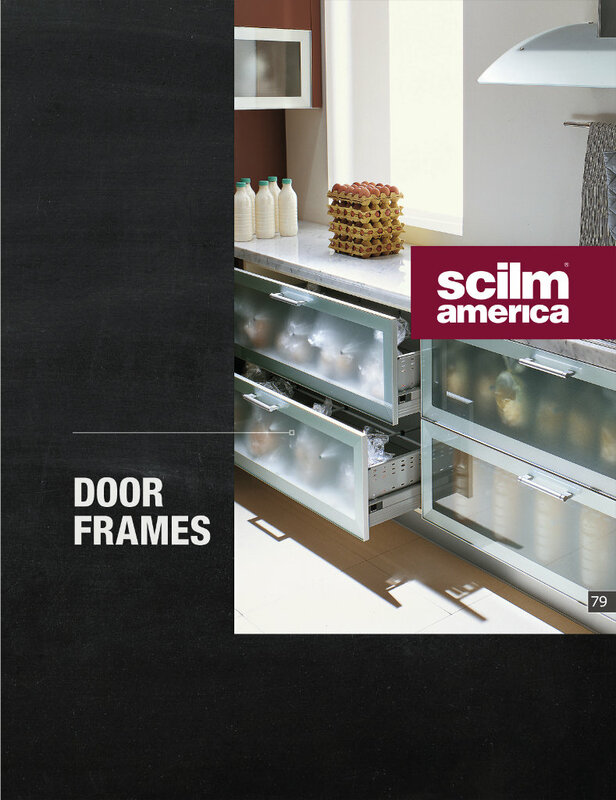 Since 1974 Scilm has been specializing in the kitchen/cabinetry/furniture component industry. 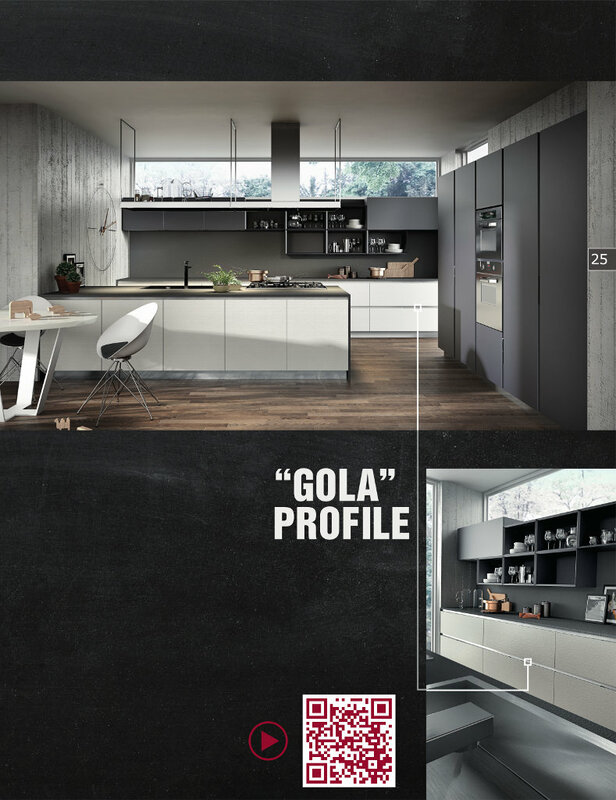 We are a long standing supplier to major Italian and European kitchen designers. This success has been achieved thanks to technology, taste and the “Made in Italy” euro style and standard. 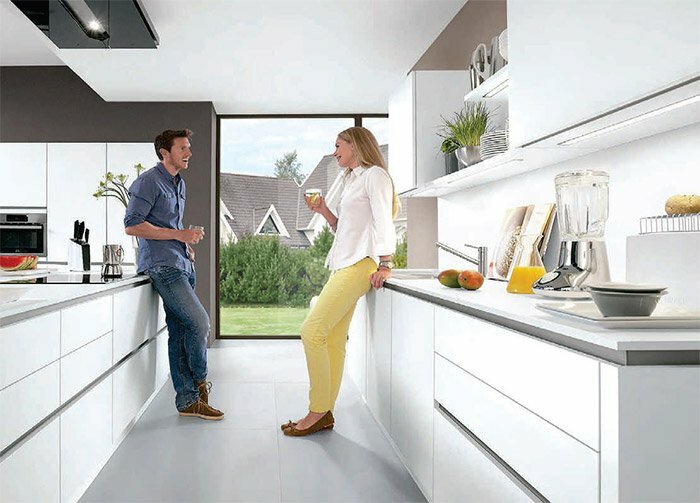 We not only supply components but true systems and accessories suitable to build modern, practical and robust kitchens. We offer quality products for American homes that are modular, quickly assembled, and render kitchens practically eternal. All products made entirely in Italy and are readily available in the US, shipping from our warehouse in Atlanta, Georgia. Scilm products meet the industry’s stringent environmental regulations, ISO certification for quality, functionality, contemporary design, and durability. It's the best way to install your cabinets. 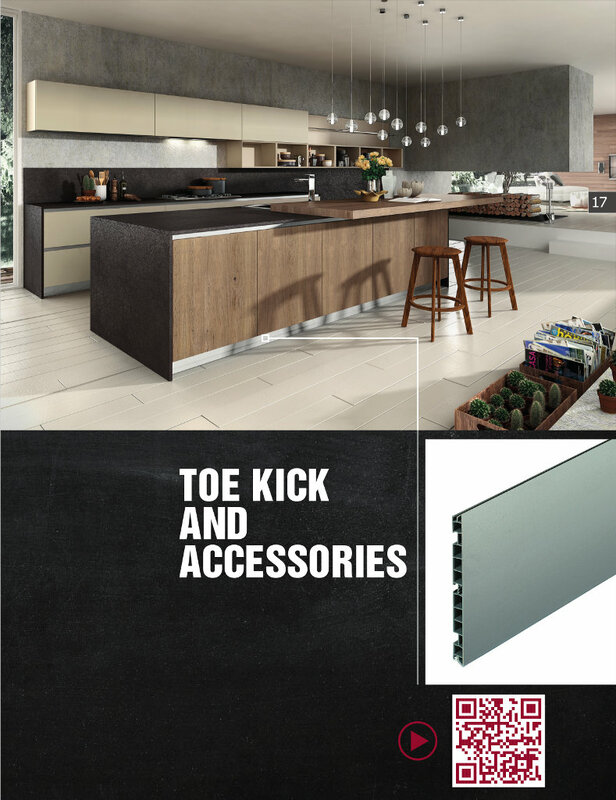 If the Leg Leveler offers cabinet protection then the Toe Kick will provide an esthetical result. 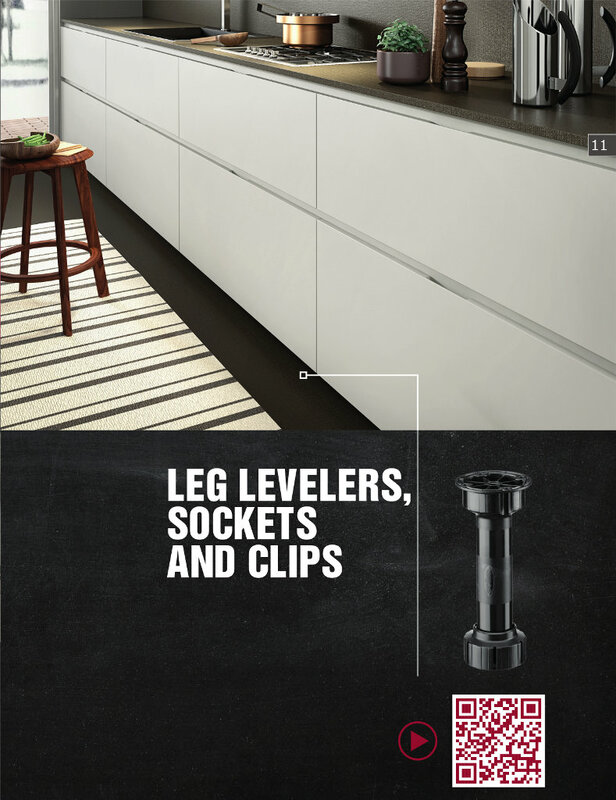 It offers a practical way to design a “European handle free” kitchen. It’s an efficient way to protect the most vulnerable cabinet in the kitchen. 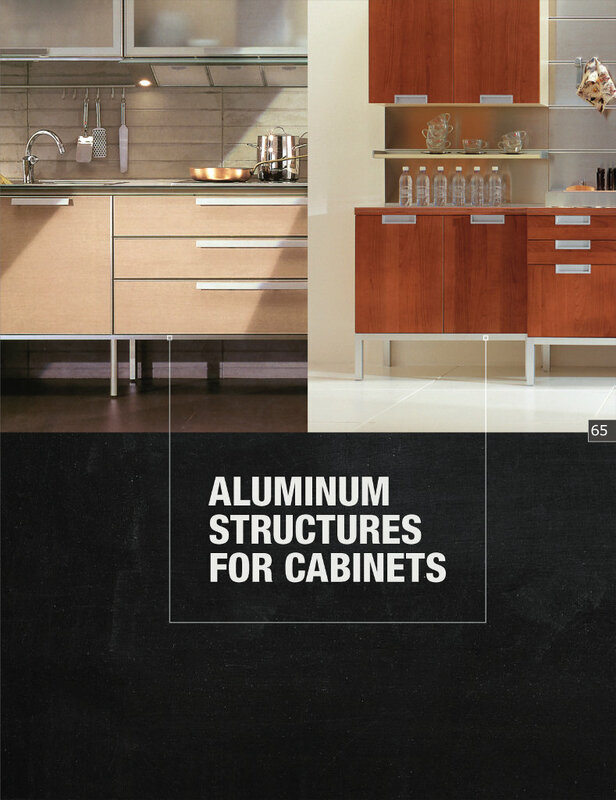 It’s an effective, practical and economical way to build not only the sink cabinet, but all base cabinets. A different way to install cabinets. 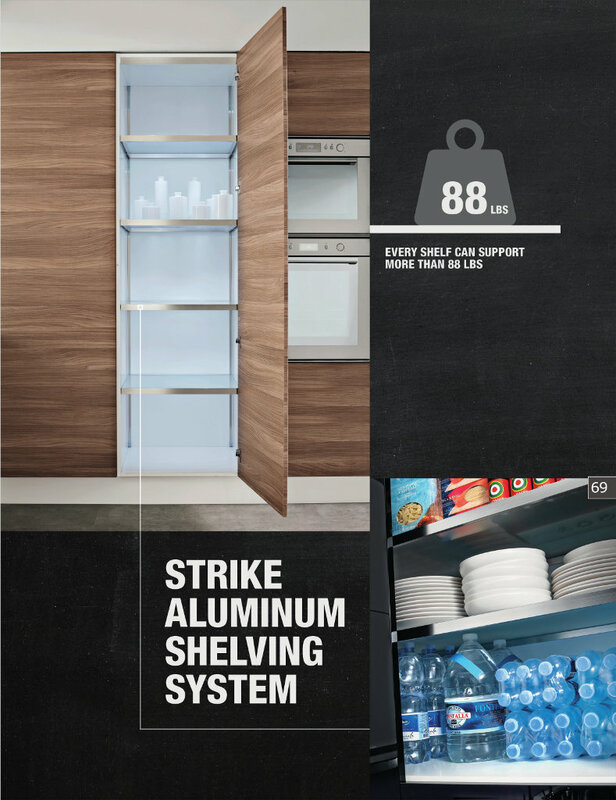 “Strike” is an innovative system for creating aluminum shelves for cabinets and closets. The “no tool” assembly joints system allows you to build shelves in just a few minutes. 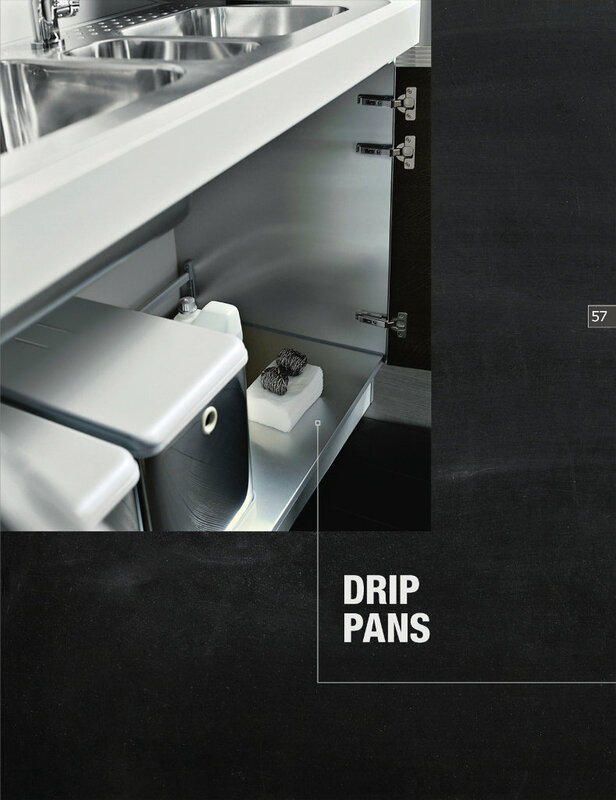 Every lateral profi le is designed to receive a plastic insert that fi ts perfectly onto the shelf holders. 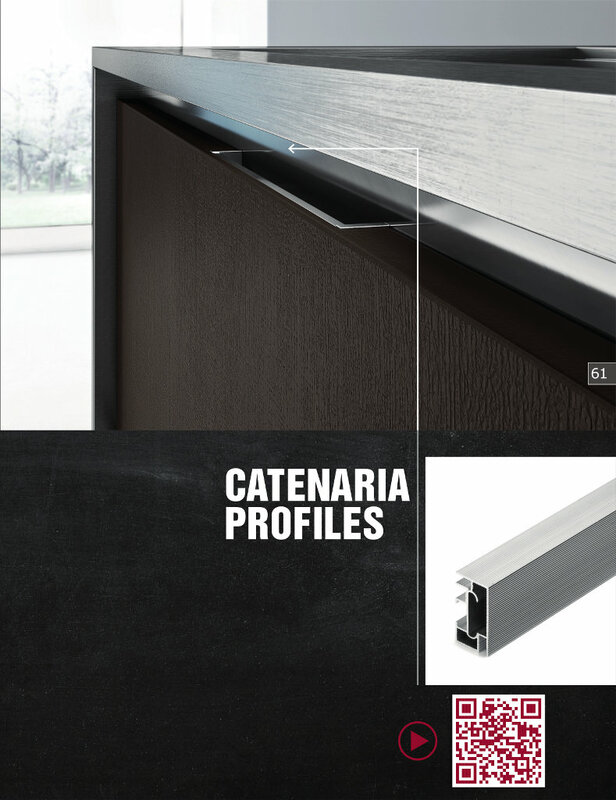 Aluminum Door Profile with costumized dimension for every door size. 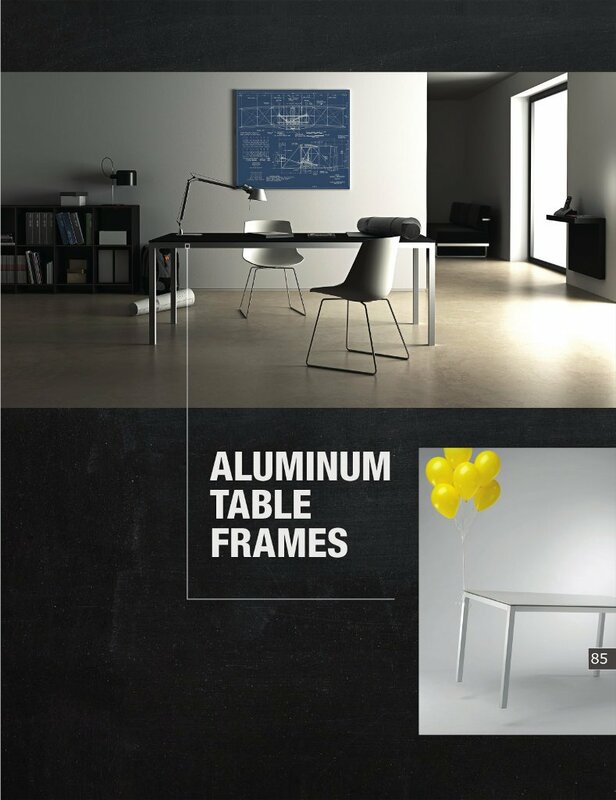 40 years of experience in kitchens are now dedicated to tables. Our company/laboratory creates innovative ideas, develops them through research and transforms them into quality added-value components for kitchens and furniture.